This review took longer than usual because I needed a second encounter with the device to pass fair judgement. Let me explain: sometimes we’re so eager to get hands-on with a device that manufacturers feel pressured to send through pre-production units. While my first G7 wasn’t a pre-production device, it was straight off the boat and deeply Korean. So Korean in fact that, besides for the illegible device update details and incompatible SIM management tools, I couldn’t switch off the camera shutter sound – an enforced regulation in some Asian markets to combat a really worrying voyeurism trend. But that first outing with a foreign G7 gave me a sweet taste of an interesting approach to flagship smartphone manufacturing. Look, LG aren’t gonna win any design awards in 2018. The tall screen aspect ratio (now stretching to 19,5:9), vertically-oriented rear dual camera and glass back isn’t exactly original thinking. 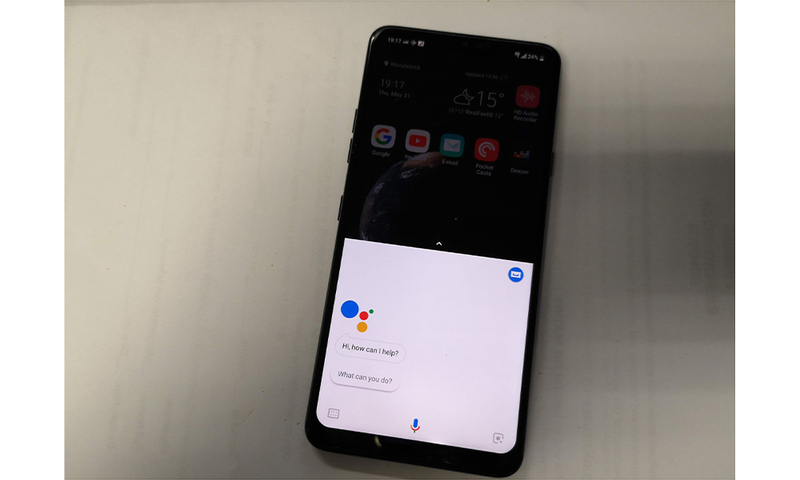 Neither is the polarising decision to wrap the screen around a cut out housing the earpiece, light-sensing sensors and front-facing camera. I actually like the notch, to be honest, it allows for more usable screen real estate by moving the status and notification information to the upper corners of the display. I’m far more offended that the company that pioneered the 18:9 screen ratio would switch from the squatter 2:1 and adopt a narrower 19,5:9 which actually decreases actual screen area when viewing in landscape. 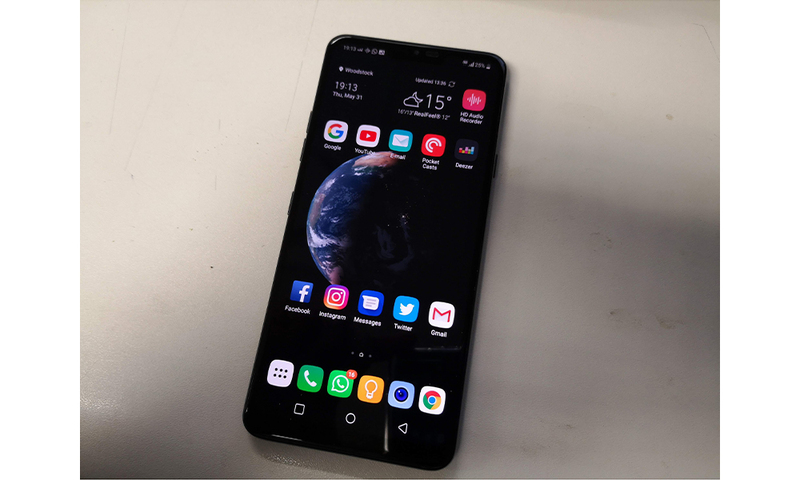 For me the LG V30, G6 and even the lowly Q6 still present more useful solutions – if not the best – to the current trend. I also stood through the entire G6 launch presentation at MWC last year, listening to cinematographers wax lyrical about the perfect compromise 2:1 represents (Leonardo da Vinci’s The Last Supper was cited as the ultimate reasoning). 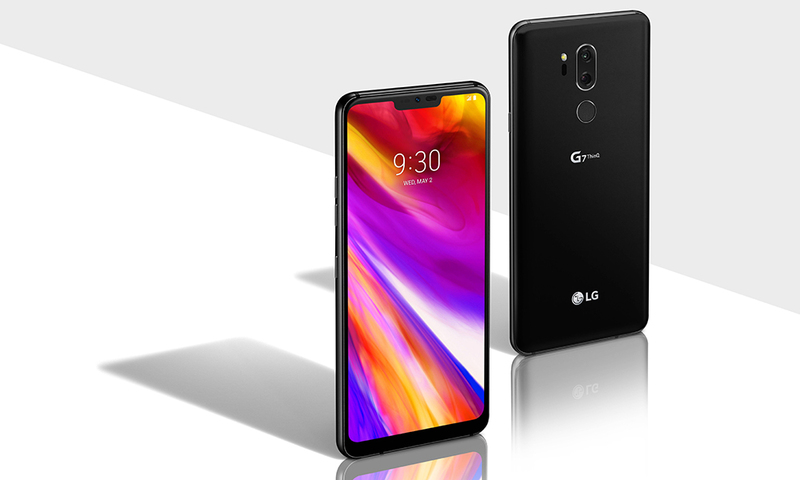 Other notable design omissions that kind of became LG hallmarks is the lack of obvious screen protection in the form of interesting bezel designs – protruding like on the G6, or plastic bumpers of the V20 or even the steel rails of the V10. No, none of those things. 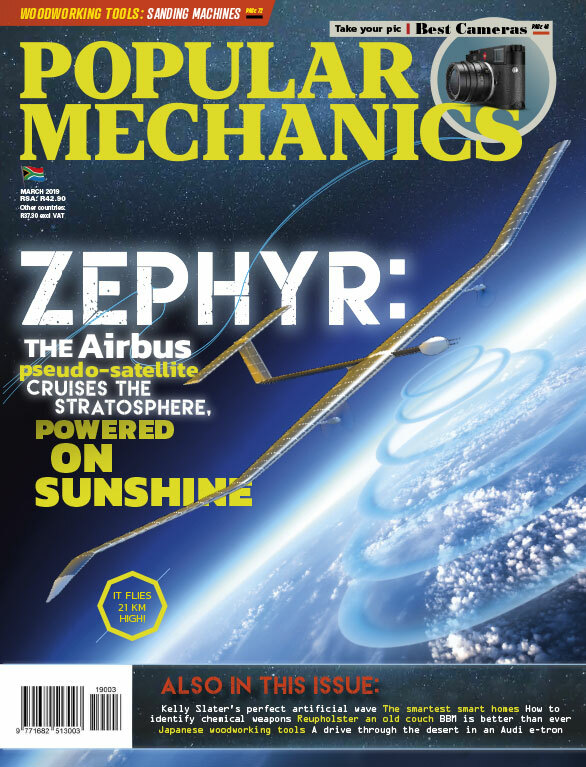 There is, however, a magnesium beam in the mid frame that is said to absorb the shock of a drop. It works a lot better than the V30’s drop protection as the rear glass in the G7 remained intact after falling to tiles in similar circumstances to those that smashed the V30. Although the G7 does retain the now typical for high-end LG devices MIL-STD-810G certification for environmental and transit piece of mind. LG also tow the 2018 spec sheet line with a Qualcomm Snapdragon 845, 4 GB RAM and 64 GB storage. There’s also wireless charging, USB type-C connector, Qualcomm Quick Charge 4.0 and an incredible 3,5 mm headphone jack supported by LG’s signature quad DAC. 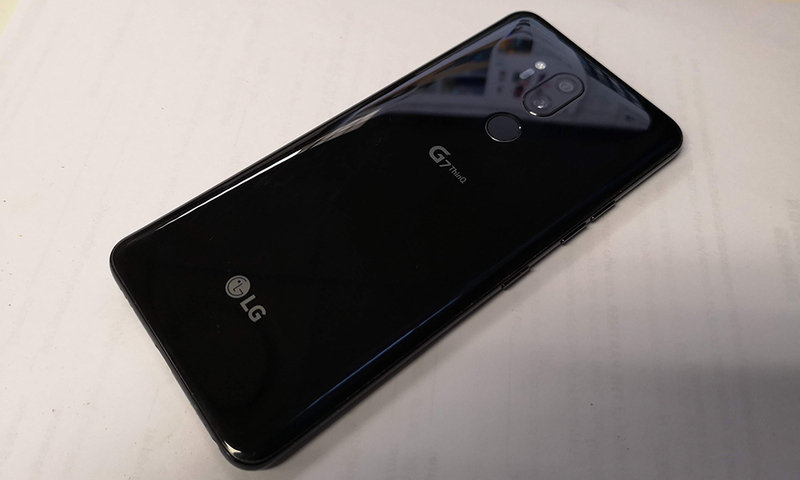 Okay, so how is the G7 ThinQ different from the largely anonymous to consumers LG flagship line-up? Well firstly, this is the best front-facing camera LG has ever put on a phone. The new 8 MP sensor and f/1.9 aperture combination also benefits from Google’s portrait mode algorithm and can pull off shots with decent subject isolation. 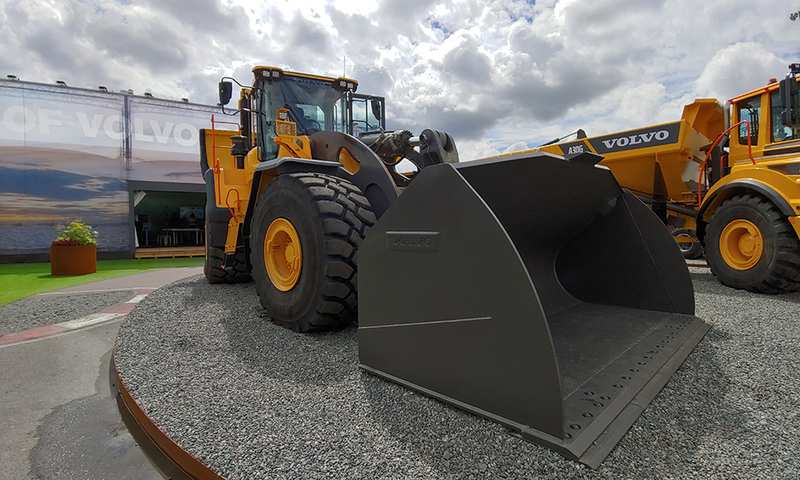 On the rear there’s also a new 16 MP standard view sensor and the wide-angle camera also gains a resolution bump to 16 MP (although the wideness of that angle now falls to 107˚). 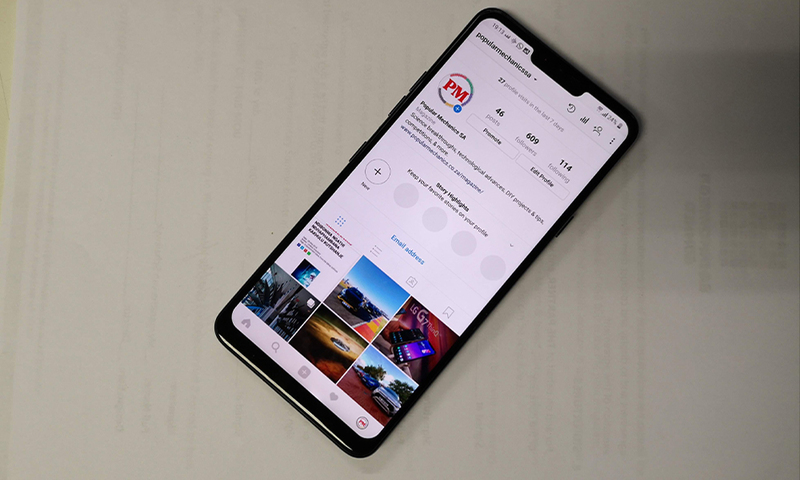 Marketing material compels me to mention the AI Cam smarts that will automatically recognise up to 19 different scenes and adjust the camera settings accordingly, but it’s slower than Huawei’s similar solution and generally only adds saturation and brightness. Thankfully LG made it easier to disable, which is fine because the Auto mode is quite reliable once you get that pleasing buzz which indicates locked focus. The Manual mode is what you’re after on an LG device and it doesn’t disappoint. Dial in any settings you want in both stills and video (there’s also Cine Video mode for those obsessive color graders out there) or snap stills with presets from the innovative Graphy application – literally choose a “lens” from one of the many images and the camera will be adjusted to those settings. Although not the best sensors on the market, the G7 can hang with the S9s and P20s in auto and then obliterate those snappers with its fine, tactile manual controls (LG has some of the best haptic feedback in the industry, rivaling even Apple’s superior Taptic engine for vibration feedback). And because low light photography competence is a requirement in 2018, LG has a superbright mode that uses pixel binning (combining pixels) to turn its 16 MP sensor into a more sensitive 4 MP sensor when the lights go down. 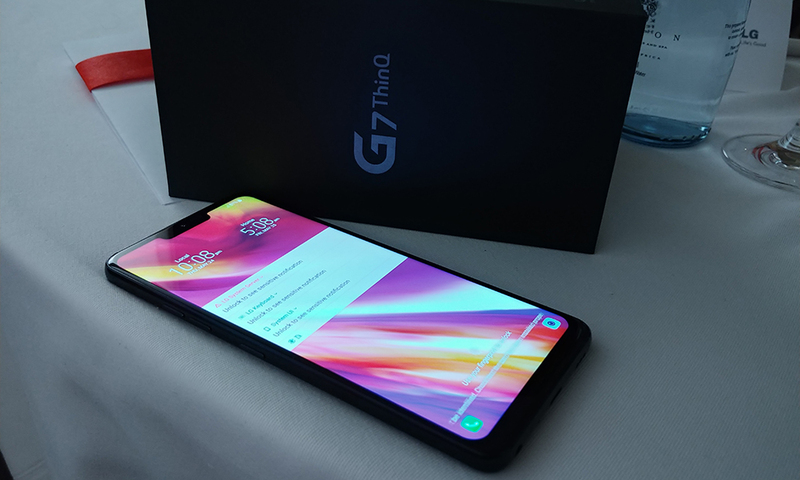 Adding up all of those improvements plus the class-leading LCD and its 1 000 nit max brightness makes the G7 ThinQ a formidable package, but that’s not even taking into account its party tricks. LG already has some of the best microphones in the game and endowed the G7 with even better ones. 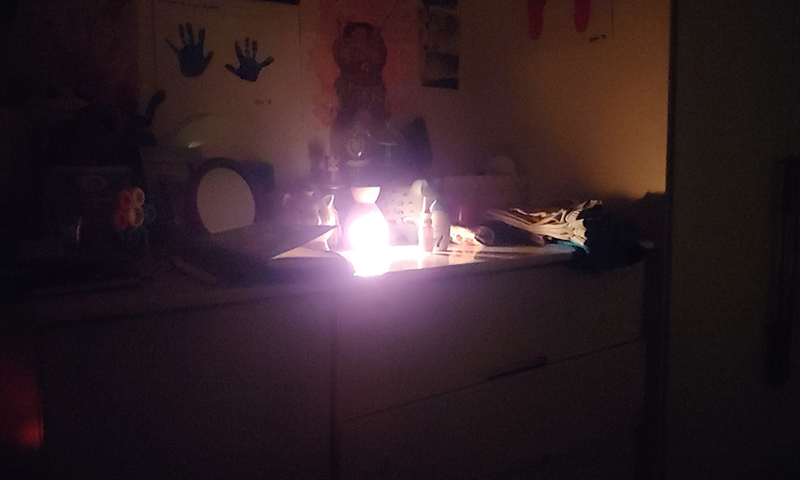 Those far-field premium mics are not only a godsend for audio recording, but also for catching your voice better when you’re summoning Google Assistant. there’s also a dedicated key below the volume rocker for more discreet beckoning of Google’s almighty powers. You see, LG don’t have a smart speaker out in the market yet and have a complete Smart ThinQ ecosystem of connected home appliances. The smartest thing to do is equip an LG device with the tools that can harness that ecosystem, and this is it. The G7 ThinQ cannot be viewed in isolation because it bares the moniker of a greater platform. When I started thinking of the LG G7 as a piece of the smart home puzzle, it immediately took on a life of its own. Ambient computing and voice control is the interface of the future and LG have just put a powerful PC in your pocket that can do all those things better than other smartphones on the market (sorry Samsung, but Bixby isn’t quite there yet).